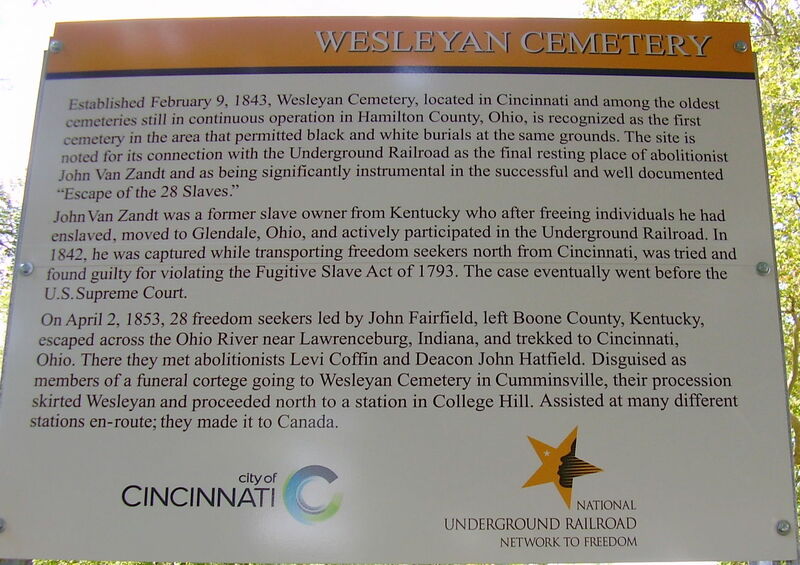 Thanks to the hard work of Hamilton Avenue Road to Freedom members Kathy Dahl and Stephanie Sunderland, two of the Underground Railroad related-sites that were accepted into the National Park Service’s Network To Freedom earlier this year now have markers. 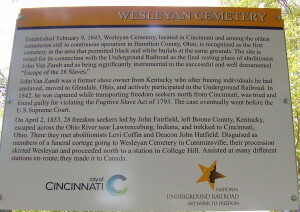 The sites are: Wesleyan Cemetery, which played a role in the Escape of the 28, and also in recognition of the grave site of abolitionist John VanZandt; the Escape of the 28 Corridor along which, in 1853, freedom seekers travelled, from Wesleyan Cemetery to an overnight stay in College Hill, as they made their way to Canada. 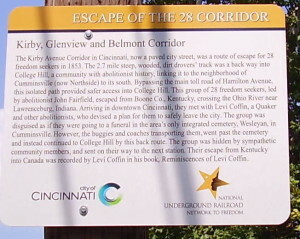 Corridor markers are located on Kirby Avenue near its intersection with Colerain Avenue in Northside, and on Glenview Avenue near its intersection with Belmont Avenue in College Hill.  Funding was provided by the Hamilton Avenue Road to Freedom committee, College Hill Historical Society, Cincinnati Northside Community Urban Redevelopment Corporation and donations from general public. 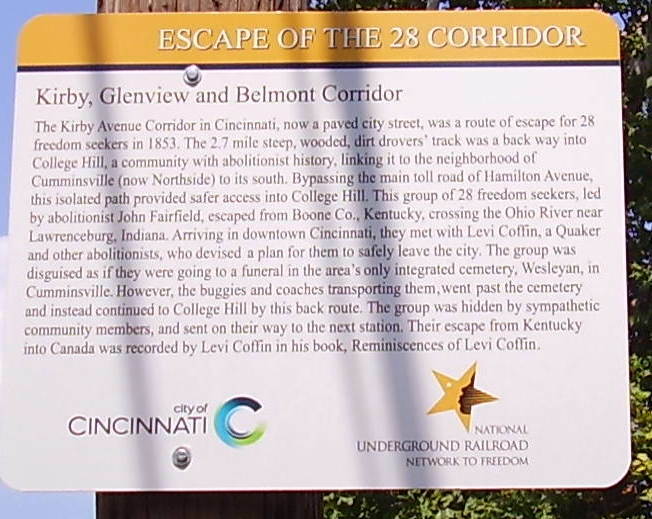 Many thanks to Troy Hicks and Jeff Aull, with the City Cincinnati Traffic and Signs Department, for the creation and installation of these historic markers.